Pavilion KL at Jalan Bukit Bintang is a modern shopping mall with the latest fashions in town. Lots of excitement has been generated by this latest addition to the city of Kuala Lumpur. You will be able to experience the shopping standards comparable to Tokyo's Ginza and New York's 5th Avenue. There are many parking bays at the mall. The spacious and modern looking mall. This 7-storey building has over 450 retail outlets shops, urban leisure areas as well as food and beverages outlets. Entrance from the street will lead you directly to the 3rd floor of the building. 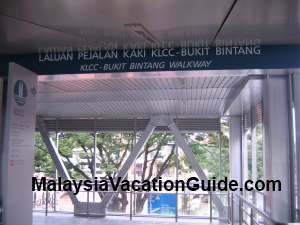 If you are coming from Suria KLCC, you can use the sky bridge that connects Kuala Lumpur Convention Centre to Pavilion KL. Designer brands of international standards such as Versace, Aigner, Prada, Club 21, Coach, Ermenegildo Zegna, Hermes and Hugo Boss are also here. Parkson will occupy an area of 250,000 square feet where the items will cater for the upmarket lifestyle. Harvey Norman of Australia adds an outlet here in a big way. Ikano Power Centre is another shopping complex with a strong presence of Harvey Norman. GSC cinemas is another entertainment outlet that will screen the latest shows in town for your enjoyment. 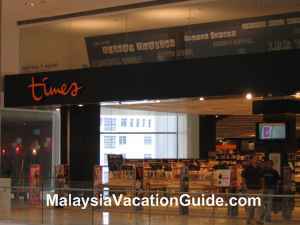 Times Bookshop is another bookstore that will keep you and your children occupy for hours here. 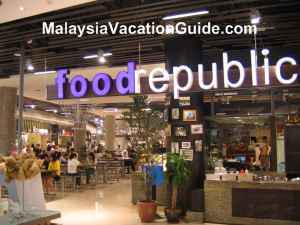 Try the various kinds of food here. 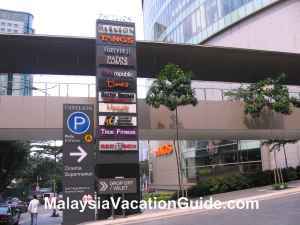 You can also use the pedestrian bridge that connects this shopping centre to KLCC as well as Impiana Hotel. This air-conditioned walkway is equipped with CCTV to ensure the safety of the pedestrians using this bridge. 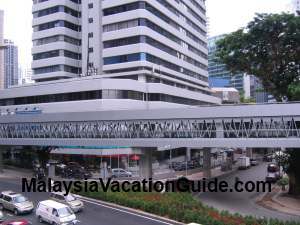 You will pass by KL Convention Centre before reaching Suria KLCC. The elevated walkway also connects to KL CityWalk. You can also take the FREE GoKL buses Purple or Green Lines. Operation hours is from 10am to 10pm daily.